Q: As a mom, I feel stretched thin across so many responsibilities, and I feel like I'm not doing a stellar job at any of them. How do I find some kind of balance between everything I'm supposed to do? A: I think in most people's minds, the word "balance" conjures images of universal happiness, no task left undone, stars aligned and world peace on the horizon. Maybe even a choir of angels in the background. If that's YOUR idea of balance, I would challenge you by saying it doesn't exist. What DOES exist is our individual abilities to prioritize, make the best decisions we can with the best information we have, follow through to the best of our abilities, and then stand by our actions. Say, hypothetically* (of course), I decided to have my son miss soccer practice because I had to take my daughter to her eye appointment (and my husband was out of town and couldn't help with double-duty). Why should I feel guilty or unbalanced? I decided on the priorities, followed through the best I could, now it's time to put my Big Girl Pants on and stand by my decision. If you are feeling stretched thin, stand back and get some perspective. Determine your priorities based on your values and the needs of others who depend on you. Don't be apologetic in how the list comes together; if you're living with integrity, then first thing should always be first. 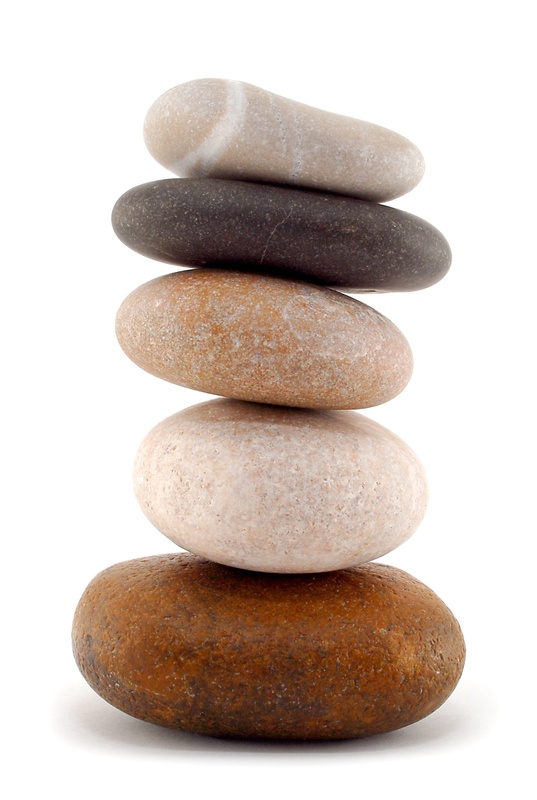 We tend to think of balance as a horizontal ideal - a scale, equally weighted on both side. Balance is really more of a vertical ideal, starting from the top with what needs to be accomplished, then proceeding to the bottom. Release yourself from guilty, regrets, fear, and especially an unrealistic idea of balance in life, and instead live your priorities. That's the kind of life that really bring peace after all. *Okay, so this isn't hypothetical at all. It totally just happened to me last night. Go From To Do, To Done!